Stevie and the Dynamos is a dependable band that emphasizes a positive rapport with its audience. We use only high quality audio and lights so your guests can expect a great sound and an attractive stage. We are punctual, polite, and ready to make your next social event a complete success at a reasonable cost. 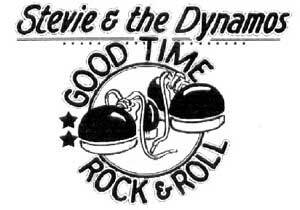 For band pictures, client and venue list, audio samples, and a songlist, please visit us at www.stevieandthedynamos.com. Let us help make your next party one to remember! Since 1982 Stevie and the Dynamos have performed for hundreds of weddings, festivals, private parties, and corporate events. We pride ourselves on providing a fun, entertaining, and professional show that will appeal to a wide range of ages and musical tastes.